MapFish 1.2 is not the latest MapFish version, refer to Documentation 2.0 for the documentation of the latest version. When asked what template engine to use answer mako, which is the default. When asked if SQLAlchemy 0.5 configuration is to be included, answer True, as your MapFish application will include web services relying on database tables. Only PostGIS tables are currently supported. Before creating web services you need to set up the connection to the geographic database. For this quickstart an existing public database will be used. In real-life scenarios, the database system and the MapFish application execute on the same host or on hosts of the same private network. The connection string specifies that the postgres driver must be used, the database system is located at www.mapfish.org on port 5432, and the name of the database is quickstart. singular provides a singular name for the layer. plural provides a plural name for the layer. Both are used by the code generator when substituting variables. table provides the name of the database. epsg provides the coordinate system of the table data. geomcolumn provides the name of the geometry column. 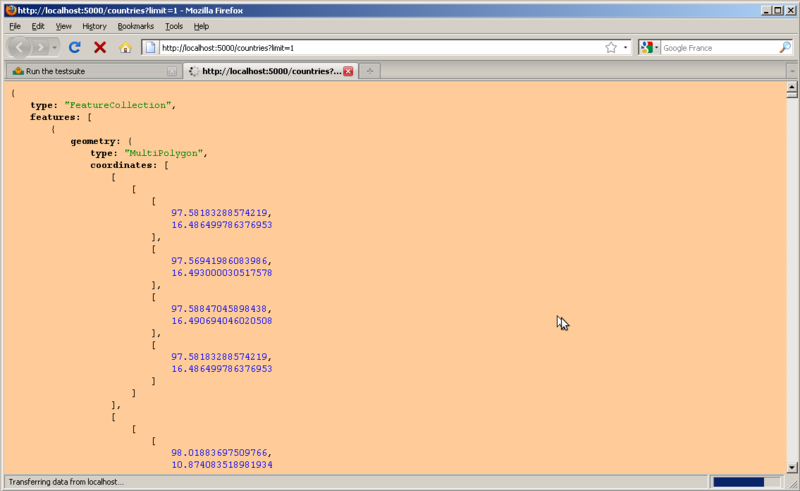 In the above code a GeoExt.Action configured with mapfish.Searcher.Map is added to the array of actions. 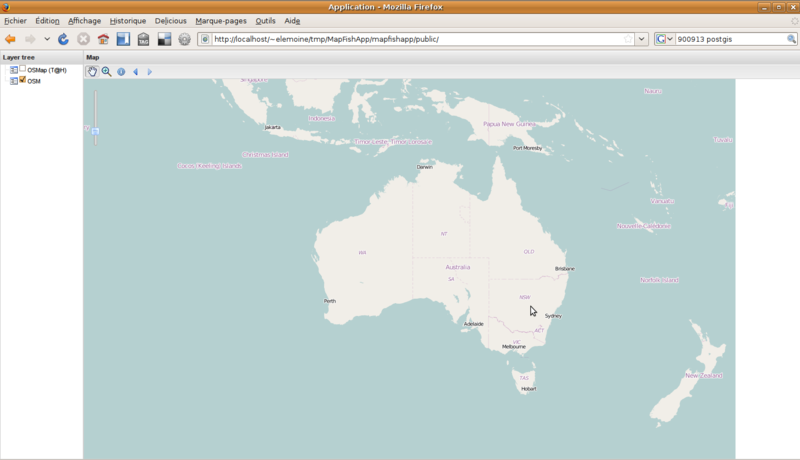 The mapfish.Searcher.Map object is connected to the countries web service through the url option. 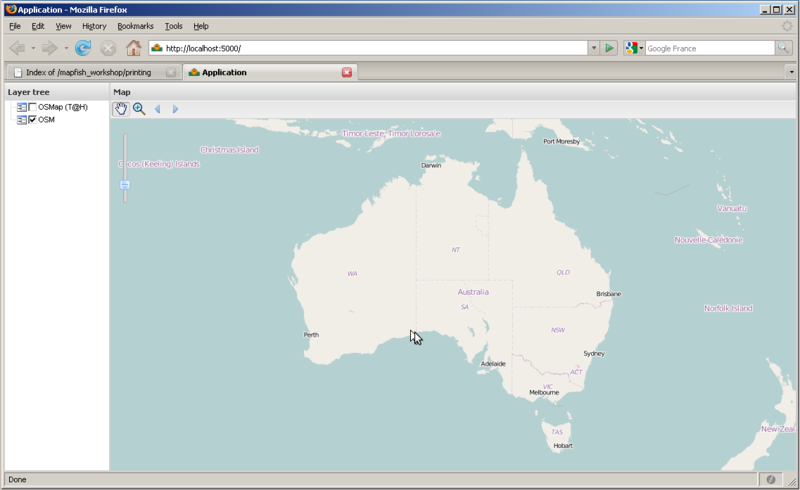 In this example the mapfish.Searcher.Map object displays a default popup containing the name of the clicked country, and the name of is continent.